Planning a road trip can be a lot of fun. From mapping your route to enjoying the scenery, going for a road trip with family and friends brings about many adventures. However, road trips can be expensive. Between hotel stays, the price of gas, and any unexpected expenses that come up, it’s important to do some planning beforehand to save money on the costs. Keep some of these tips in mind as you plan your road trip and make the most of your travels. When you decide to take a road trip, it’s important to estimate the common costs you may incur along the way. Some of those include the cost of gas, lodging, and food. However, it’s possible to save on each of these categories with a little forethought. One of the most common and unavoidable costs you incur on a road trip is the cost of fuel. In summer months especially, it’s common for people to see gas prices rise. There are many reasons for this, but the major one is linked to science. According to an article from AAA, summer-blend gasoline has a lower Reid Vapor Pressure, or RVP, than winter-blend gasoline. RVP is a measure of how easily the fuel evaporates at a given temperature. Thus, summer-blend gasoline’s lower RVP prevents excessive evaporation as the temperatures rise, but the lower RVP gas costs more to produce. If your road trip is going to take place in warmer weather, it’s important to keep this in mind. Another alternative is having a eco-friendly car as a rental or using a car service that uses eco-friendly cars. For example, Green Path Transfers usues eco-friendly vehicles for it’s Heathrow airport transfers. Planning Your Route – Knowing where you’re going is a good start to your road trip. Plan your route ahead of time and find a shorter way to get where you’re going to save money on fuel. Getting lost just wastes gas (and time!). Creating A Savings Bucket – As with any expense, having a pool of money to pull from for a specific expense category can help. Save a set amount of money toward this expense each month. Having the money will lower your stress levels and allow you to use other funds for fun expenses on your trip. Use Discounted Gas Cards – According to a helpful Forbes article on saving money on gas, some websites sell discounted gas gift cards other people don’t wan. You can purchase these to use at the pump. For example, you might be able to score a $50 gas gift card for $40, earning you $10 worth of gas for free! Drive Safely – Whether you’re doing the majority of the driving or splitting it with another traveler, it’s important to practice good driving habits to save on gas. Hard starts and stops eat up your fuel, as does speeding, so pay attention to how you’re driving to reduce your fuel consumption. Lodging is another expensive road trip category that can easily take a toll on your budget. Depending on how many people you’re with and how many rooms you need, even one night at a hotel can cost hundreds of dollars. Book Ahead – Using websites that have deals on lodging (such as Groupon or Priceline) can reduce your spending before you even begin driving. Bid on lower priced rooms or rooms that haven’t sold yet, and you’ll find savings you didn’t know you had. Book Directly with the Hotel – Although booking lodging ahead of time is ideal, sometimes booking directly with someone at the hotel allows you to get better discounts. Call ahead to ask about their prices and any room specials they have, as well as included amenities. It also never hurts to ask for their best offer if you’re not completely satisfied! Consider Hotel Alternatives – There are many cheaper options you can choose for short and long stays that don’t involve chain hotels. Some options include vacation home rentals, services like Airbnb and HomeAway, hostels, and campgrounds. Bunk Up – Traveling with a group? To save on rooms, consider sharing beds with a friend. You’ll cut down on the amount you spend on rooms and get to know each other a little better. Use Existing Discounts – You may have savings from discount cards and programs you’re a member of and not even know it! Students, alumni, teachers, emergency workers, AAA members, AARP members, military personnel, and government employees often get discounts on lodging. All you have to do is ask if the establishment you’re considering honors a discount! Food is an unavoidable expense on a road trip. No one wants to eat fast food for every meal, so it’s a good idea to make sure you have room in your vehicle for snacks that don’t come out of vending machines or gas stations. Some good road trip foods you can keep on ice and eat as you go include fruits, veggies, nuts, and cheese. Store foods in a small cooler to keep them fresh and reduce your costs as you drive. If you really want to reduce your food costs, pack bread, condiments, and deli meat along with your cheese to assemble sandwiches on the road. You’ll make some fun memories at rest stops while taking a lunch break that allows you to enjoy the outdoors and get a chance to stretch. Worried about the ice in your cooler melting? Freeze some water bottles instead! As they thaw, you’ll not only have less condensation built up in the cooler than you would from melting ice, but a cool beverage to drink on the road. Freezing water bottles also allows you to have a cool pack along in case something goes wrong, such as the air conditioning in your car going out. Obviously you won’t be able to eat out of a cooler every day. That can become as dull as eating fast food constantly. When you get closer to your destination, make a grocery store run and pick up fresh foods you can use in your meals. If your choice of lodging includes a small kitchen or cooktop, you can plan quick, hot meals and store the leftovers for the next day. Planning to camp? Knowing what food to bring is crucial. Pack camping staples like sandwiches, peanut butter, and supplies for s’mores. However, make sure you also have a good plan in place to store food away from any hungry critters. Trail mix and drinks like Gatorade are essential for camping, so make sure to bring these along, especially if you plan to do strenuous activities like hiking. Making memories should be the focus of any road trip, but it’s important to consider the ways you can save money while planning a good time with friends and family. With these helpful tips on saving money on fuel, lodging, and food, you’ll forget your worries about cost and get to enjoy your vacation. 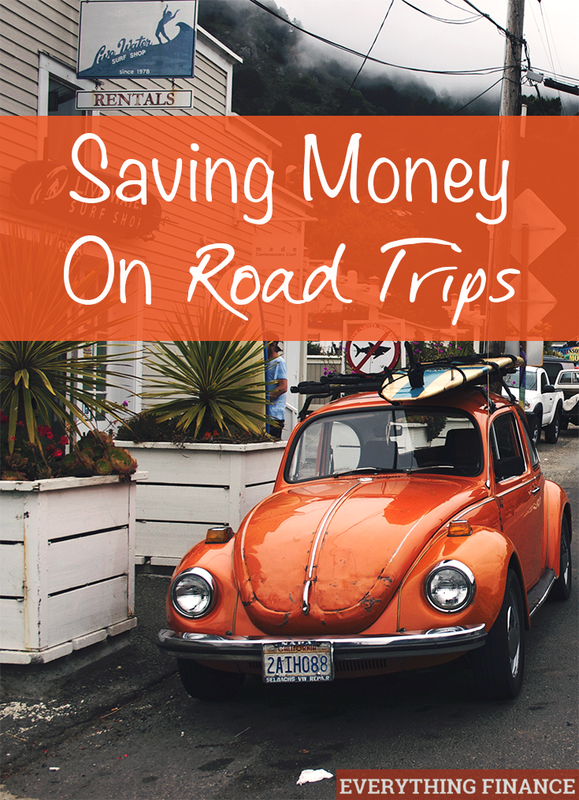 How do you save money on road trips or family vacations? Do you prefer driving or flying to your destination? Using bidding sites to book hotels is a great way to get a nice and comfortable hotel at the least cost. Gas prices are still fairly low, so it is a great time to take a vacation! I This article was quite interested. Disagree on some issues, but overall are the same thoughts. Success be with you. Sincerely.